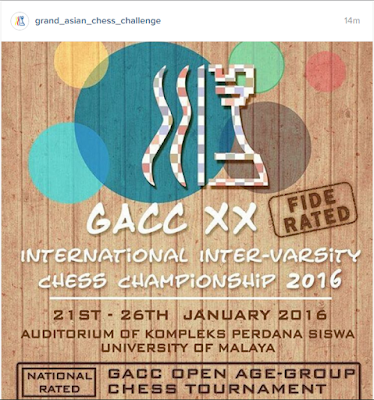 The 20th edition of GACC or Grand Asean Chess Challenge began today. 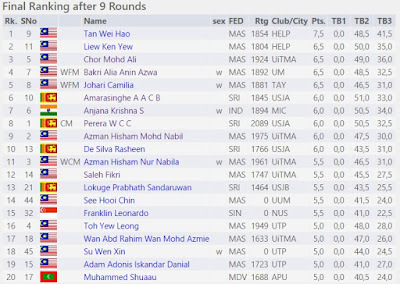 The first round already completed. 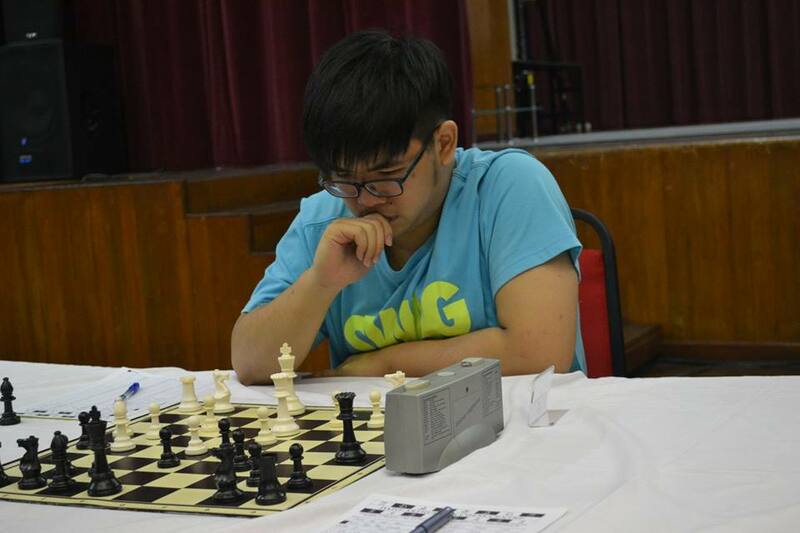 At the time of this entry, the second round is on going. 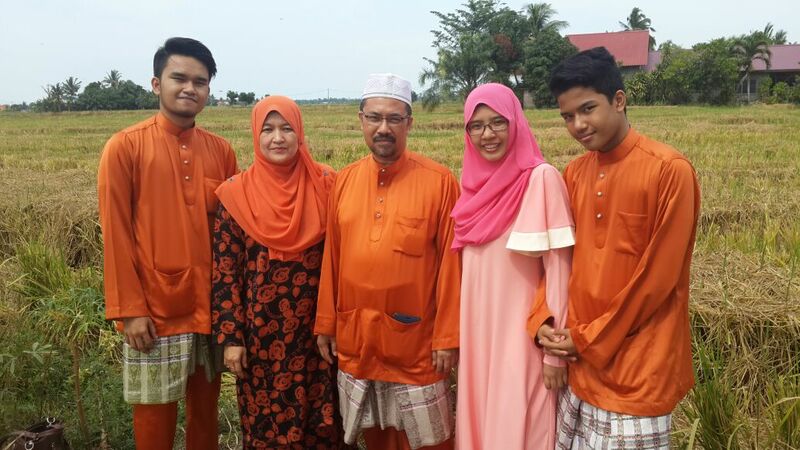 The time really flies. It seems yesterday the 19th edition being held. 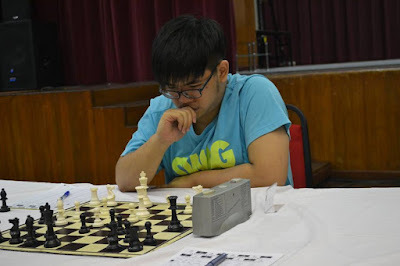 GACC is in GiLoCatur's radar especially for last year and this year editions because GiLoCatur's eldest child takes part representing his university. 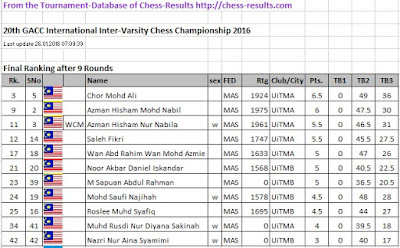 GiLoCatur is very glad that UiTM has sent its chess players to this championship. 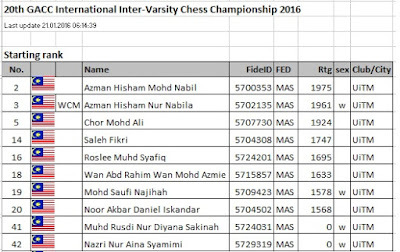 For 2016 edition, UiTM sends six male and four female players leading by Azman siblings. 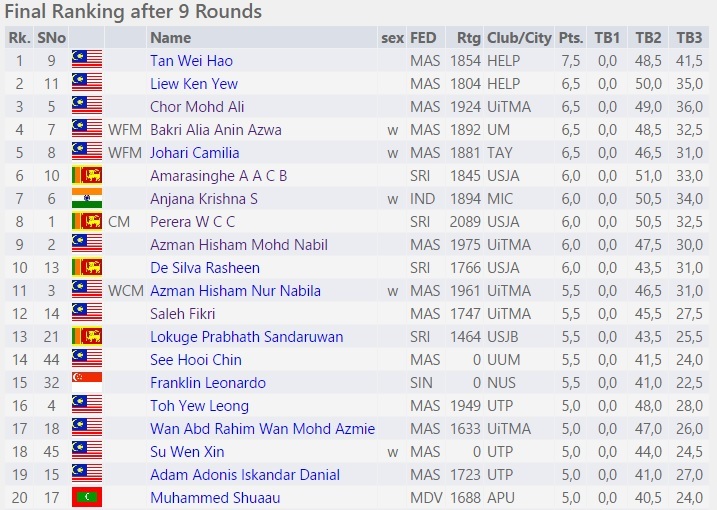 Nabil leads the UiTM male players and is the second seed while his younger sister, Nabila, who ranked third leads the UiTM female players. 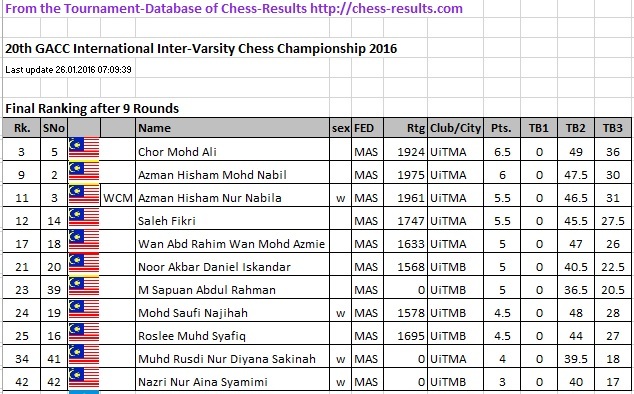 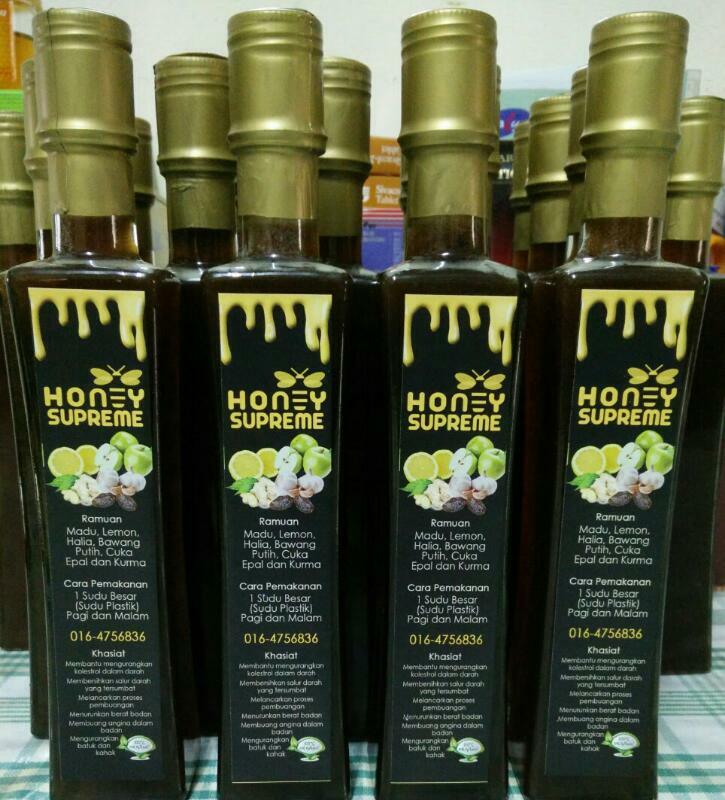 GiLoCatur would like to wish ALL THE BEST to all UiTM players especially Fikri in the chess tournament.